“From the slowness of autumn, the West Coast’s decidedly green winter graduates quietly and unannounced. As if overnight, fields and barren dunes – even roadside ditches – transform themselves into lush fields of fragrant edibility. 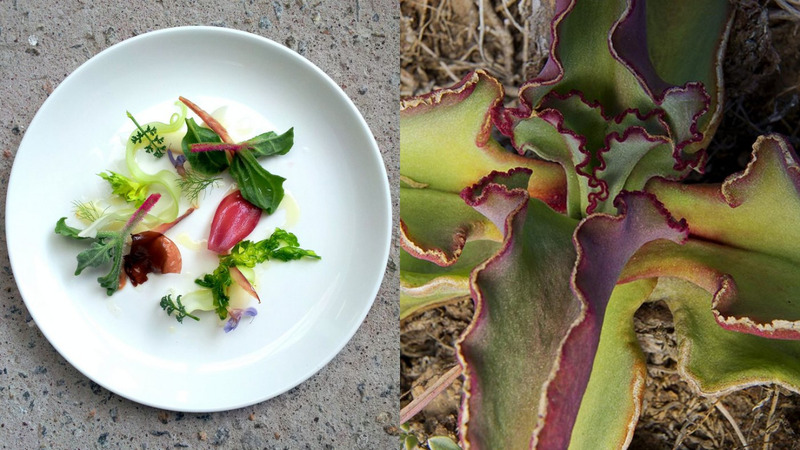 Succulent soutslaai, dune celery, veldkool. Cravings shift from anything warm and remotely comforting, to all things really rich and slow-cooked, with plenty of wine on the side. And when the first young sprouts of oxalis are spotted in Oep ve Koep’s backyard, it’s a sure sign that the bredie season is upon us. Also wild herb and boerbok-on-the-braai season. Hunting season. Plump mussel and perdevoet season. As my feet swish through overgrown fields of gousblom and kleinkruid, and I stop sporadically to pick at veldkool stems, I realise that winter must have been a magical, feast-filled time of year for the early beachcombers on the Vredenburg Peninsula. Grateful for the rain, nature provides an abundance of free greens for the winter pot.